Like the talented and popular sporty kid you used to hate at school, Thor Aackerlund has been annoying the hell out of Nintendo fans for decades, thanks largely to his superhuman gaming skills — skills which won him the coveted Nintendo World Championship back in 1990. Turns out Aackerlund hasn't allowed his talents to diminish as the years have rolled by — in this video posted by Patrick Scott Patterson, we see Aackerlund playing the NES version of Tetris almost to the point of destruction. Not only does he max out the score at 999,999, he completes level 29, too — and achieves this despite the distraction of someone persistantly knocking on his door. Now that's talent. 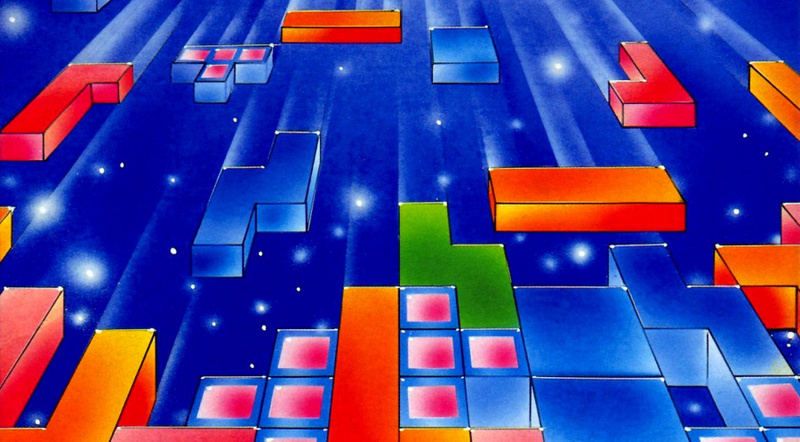 A segment of this video is featured in the Tetris documentary The Ecstasy of Order: The Tetris Masters, but this is the first time the full footage has been shown to the public. Have you ever gotten close to matching this kind of performance with your copy of Tetris? Let us know by posting a comment. I can... Who am I kidding? I'm good at Tetris, but nowhere near this good! From this day on my NES shall forever stand in a vertical position. Dang... Everytime I thought he messed up, he apparently had a plan! When I was lucky enough to clear 4 lines on that level I'd break into a panic and make a mess of the board in seconds, losing hard-core style. With pressing left and right as often and hard as he does (you can hear it in the background), he must massive have callouses and blisters. Gameboy Tetris - Level 9 Heart, Height 3... I have to train my left hand to increase the push frequency to get I-Terimino to the side. I remember this kid (now grown up I suppose) from those ads in Gamepro! Wow, this guy's skill is really impressive! I've gotten to level 20 in the Gameboy version. I will never think I'm good at Tetris ever again. He's pretty good but I've seen better. I can play like this and I don't consider myself to be one of the master Tetris players...There are some people out there who are so good it's sickening. I know I've gotten to the low 20s on the original, haven't played in a long time. Boot up Tetris Axis though, Marathon on. Someone (possibly me) is ranked #6 (really it's #5, there is duplicate entry above me) in the world. Yeah, I'm pretty good too. Top American by a lot. I maxed out the game boy version of tetris, is there much difference between the two games? I don't think anyone is better at NES Tetris. It might not look as impressive as people playing the newer Tetris games, but it's actually much more difficult than it looks. The lack of hard drop makes it look slower than it is, and also the pieces lock almost the instant you touch the stack, so you'll be lucky to shift them one column or do one rotation, whereas current games usually let you do 15 rotations/translations after touching the stack before the piece locks. Also, there's no hold function to save you, and no 7-bag randomizer to make sure you get I pieces. Personally, I find NES Tetris a bit harder than the original GB Tetris, because it's faster so you have to tap even faster to move the pieces or master how to keep the momentum for your pieces to move sideways, but NES Tetris does give you more rows to work with. What i wouldn't give to be able to play NES Tetris on the VC, why on earth was this game not available ? was there some licensing issues or something ? I seriously used to be this good on the original GameBoy Tetris. I played that game WAY too much as a kid. I could pretty much play indefinitely. It started out as a determination to beat 9-5 on Game Type B and turned into an obsession with pushing myself to my limits. ARGH on the initial screen, LOLz! I saw this on the documentary special features. Thor is truly amazing btw! I made it to level 25 or 26 with Tetris DX on my Game Boy Color, but that game had the new "modern" mechanic where you could slide a brick around for a fraction of a second before it got "stuck". I never made it past about level 13 on NES Tetris. I always loved playing the Tengen version more with the Russian dancers! Wow. I play Tetris frequently (on XBOX, 3DS, and Facebook) but I've never played like that. I always mess up and then it turns into something odd. My family would always play together on the XBOX, and if we messed up really bad, we'd say we were "building something". It's an official Tetris term for us now. full version is actually available on the DVD or as a downloadable extra with the purchase of the DRM free version of the documentary. It's insane how good this man was/is at Tetris. Ecstasy of Order is well worth picking up! @beatalLiToaD My thoughts exactly. Done and will never look back. Is that someone knocking on his door at the end? What a person that guy is continuously knocking, probably not knowing the sheer amount of epic happening in there. I might have to start drinking Redbull. Seems to improve peoples game! So he is a nerd and proud of it? The Original Tetris didn't have the 'Hold' function, which makes it more difficult... I'd say . There seems to be a skill cap on Tetris. I've had to quit just because I was getting bored. I'm not really good at other puzzle games like Kirby's Avalanche, BTW, but I'm pretty good at Tetris. There's even a pattern in some of the Tetris games, so it's impossible to mess up when you know it. that was INSANE! I love Tetris and it's the only puzzle game that I kept coming back to play over the years. Is he better than Steve Wozniak at it ? I have a feeling he isn't. Nintendo Power refused to publish his scores. NES Tetris is the best! It's the only one I play and will ever play. I'm sure like others, I have spent hours playing this game. While I'm a Mario and Zelda fan, Tetris is the game of the century. I don't think it can be topped for it's replay value. @Williaint Bu the blocks are visible, which makes it A LOT easier, I'd say. Tetris always reminds me of my Gameboy when it came out, was my first game for it. You'd swear this guy was psychic, from the way he plays. It's almost as if he knew which piece was coming, long before it showed up. TGM and NES Tetris aren't really comparable. For example, Alex Kerr aka Kitaru is even better at TGM than the guy in that old Japanese video (he's probably better by now as well), but Alex Kerr isn't quite on the same NES level as Jonas Neubauer. NES Tetris has no sliding/multipreview/elongated lock delay/etc. I can GM TGM1 and TGM2, complete with invisible tetris credit roll, but Alex is better than me on TGM by a pretty large margin, if he's pro-level, then I'd be semi-pro at best there. I don't really have the hours in it, or the time. I played Tetris for about a year in 89-90, then quit until 2008, played a few months online, quit again, played a few months in 2010, and quit for good after that. The people that literally have played it for many years compared to my ~1.5 years or so are quite amazing to see.